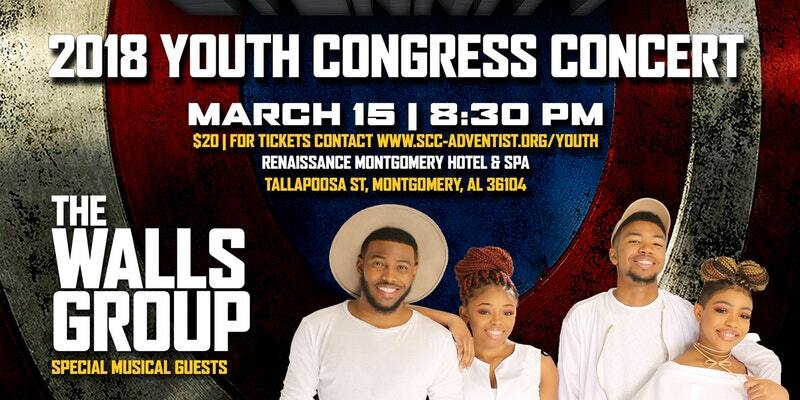 Come out to enjoy the music of The Walls Group as the opening of the Fit for Eternity - SCC 2018 Youth Congress. World renown, The Walls Group is coming to the Montgomery Convention Center, Exhibit Hall C. Along with local and regional artists, this dymanic family group will bless the city with their unique music ministry. Also performing will be Dale Brown and Truth (Atlanta, GA). Tickets are $20 and may be purchased through Eventbrite. For more information, call (615) 226-6500.